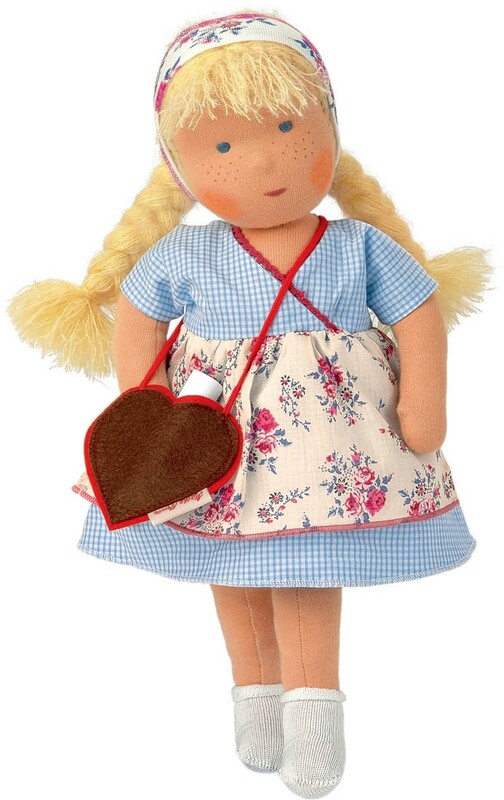 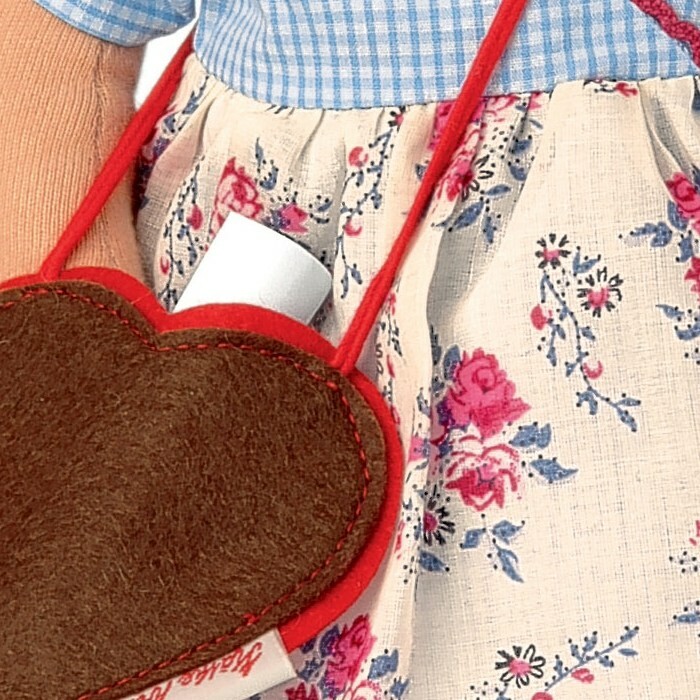 Heidi is a handmade 15 inch Waldorf doll wearing a blue and white checked reversible dress with integrated flower pattern apron, white knit socks, a matching headband, and carries a heart shaped purse. 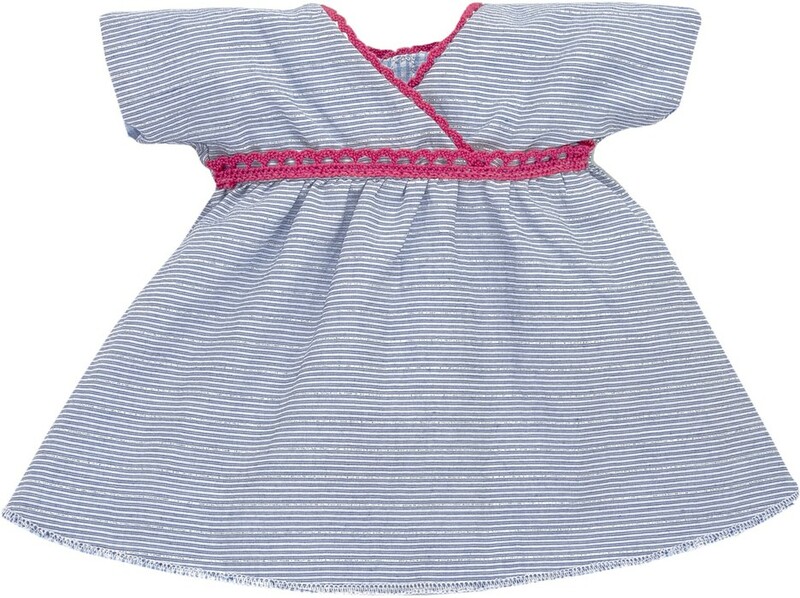 The reverse of her dress is a very fine grey and blue stripe with red lace trim. 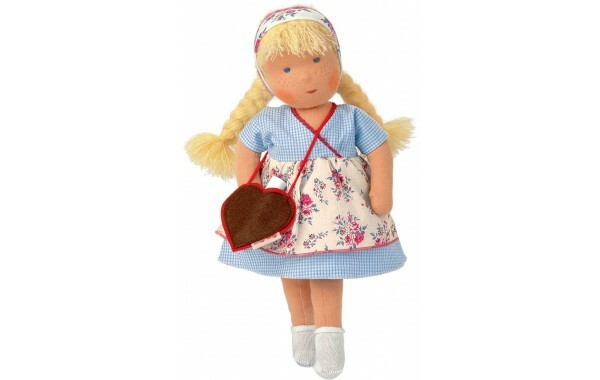 She is made from 100% natural materials, stuffed with sheep wool and has mohair hair. 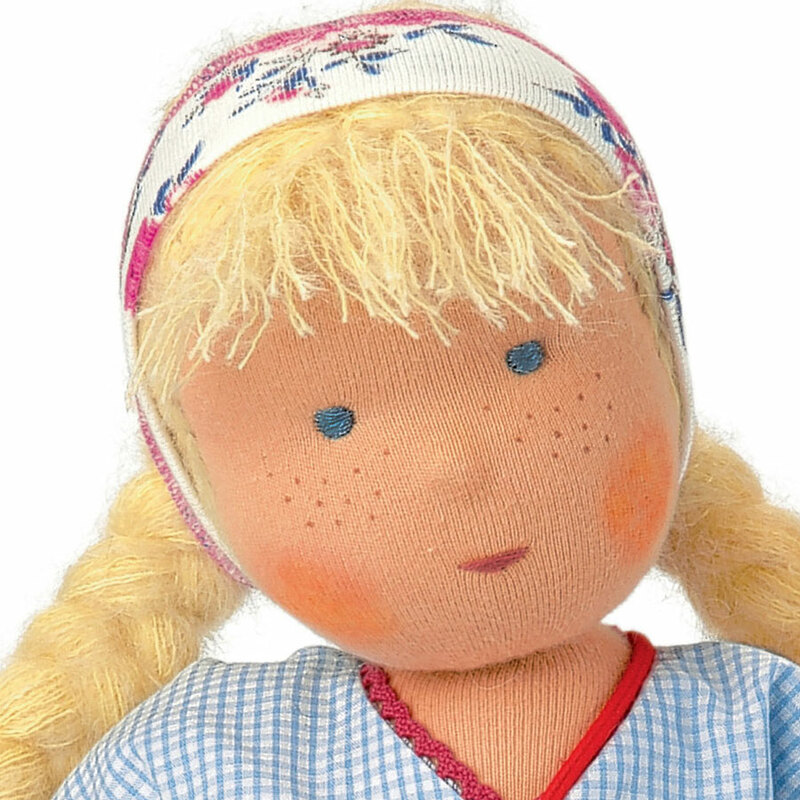 Heidi's face is charming and simple in the spirit of the Waldorf philosophy. 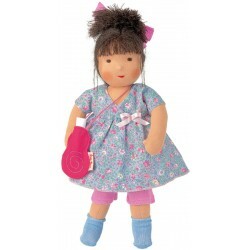 Her clothing is child-friendly and can easily be taken off and put back on.